close to the island of Giglio (Tuscany), one of the biggest Cruisers ever produced is sinking right in this moment. It had more than 4200 people on board, among them 52 children . 4 dead persons have already been found but many people are still missing. in this moment, the ship is laying on the left side and sinking at a distance of 1 mile from the cost. I will try to put more infos on the forum as still i got them. The official note says around 10 pm, but yesterday I heard in tv a survivor saying 9.15. All the planets except Jupiter in the 8th where it can't do much good, are above the horizon. The south node is on the MC. Not a happy chart. Another person noted that Mercury is out of bounds therefore delivering more than usual. I don't know anything about using OOB planets. Sun on Peacock is on the cusp of the 5th house in the above chart. 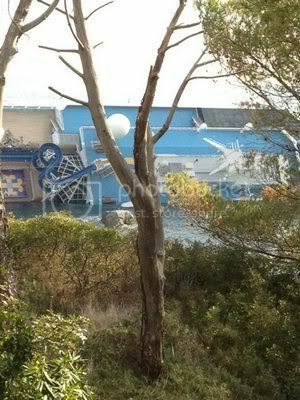 Posted: Mon Jan 16, 2012 7:26 am Post subject: Launching Costa Concordia? Is the exact launching time of the Costa Concordia published? I don't know that there has ever been a tragedy at sea on on ocean liner that these kinds of stories don't come out first. While I don't discount the possibility of negligence (they did run aground and they have charts uhhh not astrological charts), stories like the above are rarely more than just rumors or lack of understanding. No captain is at the helm 24/7. That's why they have a crew. If the captain had a heart attack the ship wouldn't inevitably run aground. The assumption is that the company hired an incompetent crew who cannot function unless the captain is with them physically, and he's just a drunk. I don't buy it. Maybe they could have done better with the rescue; maybe they couldn't. I'd hold off on this stuff for now. If it's true they were negligent, the evidence will show it. The recollections of an understandably panicked passenger don't have a lot of weight. If all the evidence shows is that the captain was having a drink during his off hours, so what? If the whole crew was at the bar when it happened, the critics might have something. The captain is going to be blamed whether he was on duty or off when it happened. It is not unprecedented for the whole crew, or at least the responsible ones, to be absent from the bridge leaving it unmanned. I seem to remember a Greek ferry crashing when everyone who could steer it was watching a football match. I have left the verb as unmannned rather than unpersonned as woman would surely have more sense. I fear that your appeal to await the inquest has fallen on deaf ears. The captain has been arrested and another rumour is that he was showing off to a male friend on the shore.The ship we are told is fully automated so complacency doubtless came into it. some folks here might like to look at the cross aspects between the event and the chart for italy republic - june 10 1946 610pm rome..
i show mars directed to uranus in the primary directions but it is off by about a month.. solar arc data has midheaven at radix scorpio moon in the 12th area.. t sun opposite saturn in cancer in the 9th, and t uranus fairly close square to radix mercury also in the 9th by whole/sign houses.. I gave a quick look to these charts for my blog- obviously here newspapers have no other news - and it seems to me it's exactly like William Lilly describes in CA II. A malefic (Mars) harms the Ascendant and the Moon and rules the 8th. Posted: Fri Jan 20, 2012 9:24 am Post subject: Re: Launching Costa Concordia? Yes, the data is known and is very intersting. The Concordia has been baptized on july 7th 1996 in Civitavecchia, Italy. The time must be around 12 pm. Intersting because the bottleof champagne didn't break. And, if the time is right, The AC is in Virgo with retrograde Mercury in Lion in the 10th, Moon in Scorpio in the 3rd. Bye the way, I would rather use the 10th ruler to decribe the capitain.